GameStop declares Wii U launch a success, but has a disappointing 2012 overall. At the end of 2012, videogame retailer and reseller GameStop saw its seven-year holiday sales hot streak end, according to new data revealed by the company. This marks the first time since GameStop's merger with Electronics Boutique that the company didn't improve on its year-over-year holiday revenue. 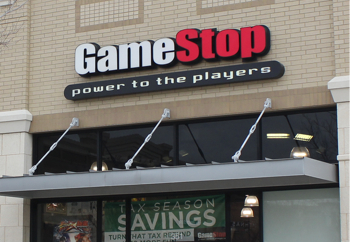 GameStop brought in approximately $2.88 billion, marking a 4.6% decrease from 2011. The holiday dip marked the end of a disappointing year for the company, which noted in its financial report that its pre-owned game offerings saw a 15.6% decline in sales for the year. GameStop attributes the pre-owned sales woes to "limited inventory due to fewer new titles released throughout 2012 and less promotional activity." One bright spot on the company's otherwise dull 2012 report was the launch of the Wii U. The report calls the launch "successful" and notes that it was responsible for the sale of 320,000 Wii U units worldwide.